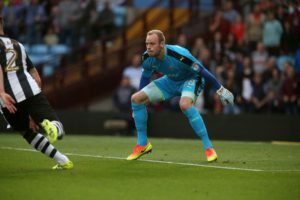 There are reports that Matz Sels has deleted his Twitter account because of the abuse he has received from Newcastle fans for the Aston Villa goal when he was caught hesitating on whether to come for the ball. But isn’t this the Matz Sels Twitter account which seems fine to us and still is existence? Tomorrow I rest than Monday I train hard for Wednesday I will improve #nufc ???????? On Wednesday we go again thanks to the fans for the support #nufc ???????? Matz wasn’t responsible solely for the defeat and we missed a couple of great chances when the players were straight through during the game – we cannot blame one player for a defeat – it’s a team game. We’re sure that will be Rafa’s take on the game – let’s try to stick together when things are tough – like right now after we dropped 2 points yesterday. New to the country and it’s his first season. All keepers make mistakes. Apologies Sels, you’re young and learning, and any errors in your position are too obvious. Get on with your work man. Tip: if you ain’t sure you’ll catch it, give it an almighty punch rather than stay on your line. That’ll buy you time. Nowt against the lad, I just think he needs to do the settling in bit in the reserves. Re: Twitter abuse. Unfortunately you go on it you take the rough with the smooth. It’s a bear pit at times. If he’s got dogs abuse then that’s bang out of order on the lad. Yeah he had a pretty shite game and flapped a lot but he’s just moved here. Not so much in the football sense as crosses are crosses and a box is a box but more moving to a new country, a new life sort of thing. They deserve to be critised for fluffing their chances. *They deserve to be critised as does sels but not to the extent of receiving dogs abuse surely. Is it fair to say you just come on here as a wind up? He is not at NUFC to improve at the club’s expense. He is supposed to be a professional replacement. I’d much rather he was ‘improving’ in training and the more able KD was between the sticks during games. There’s no contest, with Sels in goal it’s like filling up a bath with the plug left out. And don’t think other teams will not have noticed his inability to deal with crosses and corners, or indeed his terrible positional sense. He got nowhere near Jordan Ayew’s curling shot that rapped the post, where he should have at least been getting a hand to it. He’s a poor Scottish Div 2 standard keeper, and a liability for any promotion push. 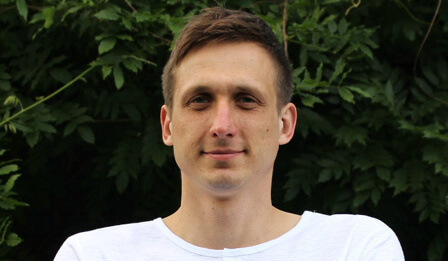 Cheers – about Pav – do you know his brother has been practising playing in goal with Sparta Prague so he can take part in in goal for the hammering of Man Utd 5-0 Legends Team. Anyway back to Pav and Sels – Not sure about Pav flapping early games but I cannot see Sels improving (hope he does). He give me the shits in the Friendly against Vitesse Arnham when he let two balls drop into the six yard box for their goals and is still doing it – He dithers – comes goes backwards forwards as if he is not sure where his six yard box is. Self should of came and caught the cross then lay on it for a minute to take the sting out of the game. Also his shot stopping diving to punch it out is weak tends to punch it straight back into play when it would be much better to punch it wide or knock it out for a corner. Darlow on Tuesday night gave a master-class on how to command your six yard box caught every ball slung in. Mind you I was impressed with the Clark, Lascelles partnership yesterday. Yedlin had a good game to. Dummett defended well but when he is on the ball/passes looks like the hunchback of Notre Dame the way he hunches over the ball. Gayle – don’t know what to make of him poor yesterday. Mitro – again didn’t look interested. My apologies, suppose you are ecstatic to draw to Villa, I was not aware. Each to his own mate each to his own. Sels needs a little time out of the spotlight and training in being more decisive and bossing his box. There’s a risk that apart from losing games, his self-confidence’ll be questioned and that’s when we’ll really suffer. I’d like to see Rafa continue with his loyalty to Sels but doing so by playing Darlow while working on Sels. What was the craic with Colback anyway? Not in the match day squad – assumed he had a knock? Tiote looked like a fish out of water when he came on, and a disinterested one at that. We were massively under the cosh and he inexplicably smashed a ball out for a corner when control or put it out for a throw was needed.